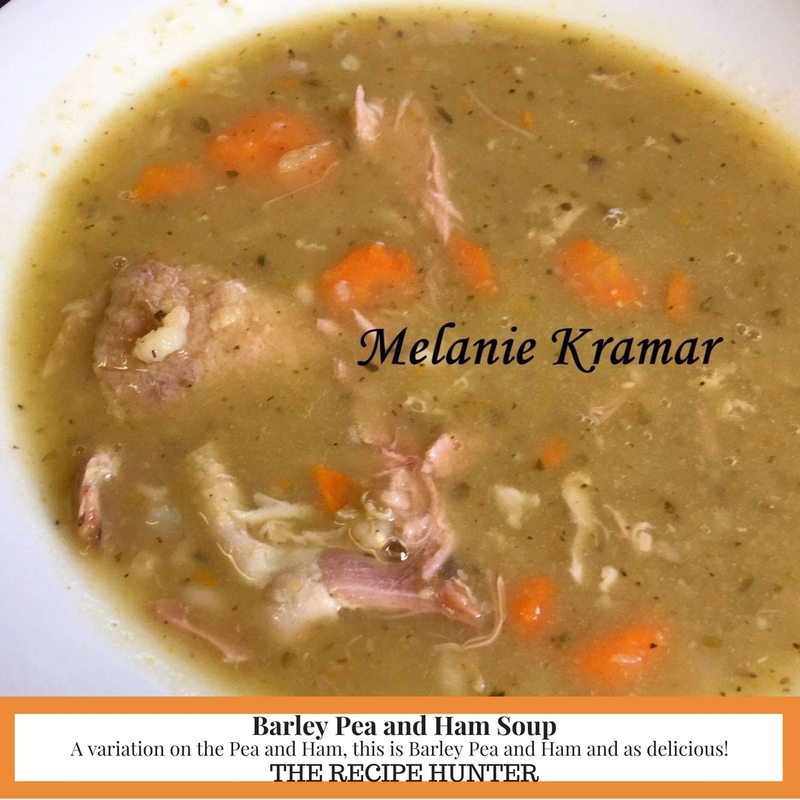 A variation on the traditional Pea and Ham soup, this is Barley Pea and Ham and as delicious! I usually stick to traditional pea and ham soup but found some barley left in a packet when looking for the split peas so decided to chuck that in too – a much more wholesome meal which doesn’t alter the taste. Add split peas and barley to the pot with stock, and cover with water. Cook on high pressure for 30 minutes till soft. Add Eisbein, bay leaves, thyme. Rub oregano between hands to release the oils and add to the pot, add salt and pepper, carrots and potatoes and cook on high pressure for 1 hour. Remove Eisbein from the pot. Take a fork and pry the meat from the bone and discard bone and fat. Cook on high for a further 15 minutes.